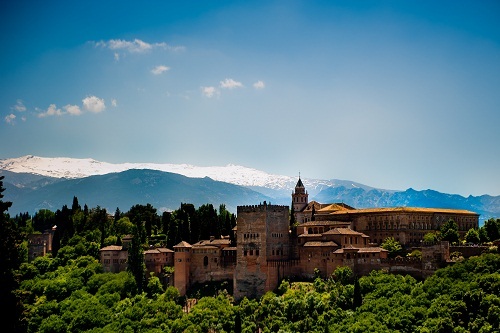 Join a Group, and visit the Alhambra, Alcazaba, Palaces and Generalife Gardens, including: Local‐ Guide, Tickets Alhambra and Thermal Bath + Aromatherapy + Massage. Pick up time: 10:15 am. Granada, a wonderful city where many civilizations that once lived in the lands of Andalusia have left such a cultural legacy that it can be considered one of the marvels of the world. 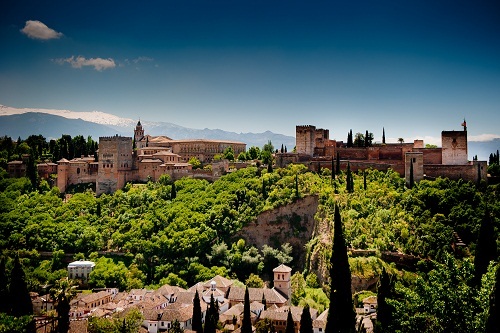 The Alhambra is the jewel of the crown of this beautiful city next to Sierra Nevada. You will visit the Nazarí city, the Alhambra, where everything even down to the smallest stone is a work of art. During the tour of the Palaces, rooms, dining rooms and magnificent gardens you will realize why the last Arabic king cried when left it after was overthrown by the Catholic Kings. You will be taken into the Generalife, Gardens by an official guide, one of the most impressive gardens in the world. massage if you would like. It is compulsory to wear a bathing suit (bathing suit or bikini). Please speak softly into the bathing area. Long hair should be tied back. You do not need cap. The use of one's shoes is only allowed in the locker room. Please arrive some time before the reserved time and punctuality on departure. Once started the turn, he does not recover the time not enjoyed. The entry of animals or food is not allowed. It is mandatory to shower before entering the baths. One towel per client is provided. The duration of the bath is 1.30 h including massage time should be hired. In the locker room there shampoo, gel, hairdryer and lockers for personal items. The tour of the Hammam is on the customer. Bathrooms are mixed, except the locker room. Note: Minimum age 6 years. 6‐11 years 50% discount. Guided tour of the Alhambra and Generalife’s Gardens. Guided tour with Official Guide in Spanish, English and French. (Other lanquages upon availability). 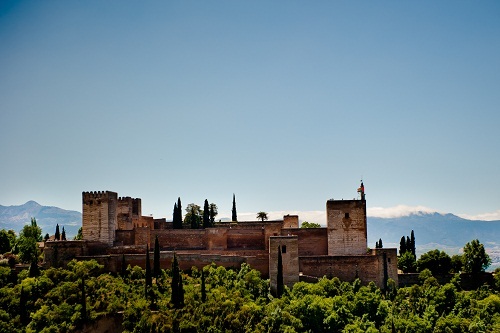 Join a Group, and visit the Alhambra, Alcazaba, Palace and Generalife Gardens, including: Local Guide, Ticket Alhambra and Transport-Flamenco Show. Join a Group, and visit the Alhambra, Alcazaba, Palace and Generalife Gardens, including: Local Guide and Tickets Alhambra.